Hybrid ORs bring together imaging and surgery to improve patient care. Hybrid operating rooms (ORs) offer a large return in terms of cost-of-care savings, superior outcomes, and even resolved turf wars, yet installing these complex, equal part OR/imaging environments poses numerous challenges. Those who have successfully undertaken these projects agree that preparing for those challenges is an effective strategy for minimizing roadblocks and maximizing benefits. In hybrid ORs, professionals from the surgical and imaging specialties work side by side to treat patients in a setting that combines their individual strengths, providing the sterility of an OR and immediate access to imaging such as CT, MRI, and angiography. A full range of open and minimally invasive surgeries are performed in these rooms, including cardiovascular, neurologic, trauma, colorectal, and orthopedic procedures. The process of designing and installing a hybrid OR may take years, but the benefits are worth the effort, according to professionals who have been through it or helped others do so. "A hybrid OR allows excellent angiographic imaging with the sterility and surgical capabilities of a conventional operating room," says W. Anthony Lee, MD, FACS, chief of BocaCare Vascular Surgery and a clinical professor of surgery at Charles E. Schmidt College of Medicine at Florida Atlantic University in Boca Raton, Florida. At BocaCare Vascular, procedures performed in the hybrid OR include endovascular aneurysm repairs; angioplasty, stenting, or bypass for peripheral artery disease; and carotid endarterectomy or stenting for stroke prevention. The main advantage to having a hybrid OR, according to Lee, is the ability to offer the patient a "one-stop" treatment that involves performing the necessary diagnostic imaging and treatment in the same setting. Imaging typically is an angiogram, and treatment is either a percutaneous intervention or open surgery, he notes. "This affords increased convenience and safety for the patient and streamlines the management of certain peripheral vascular diseases, especially when urgent or expedited treatment is necessary," Lee says. At Dartmouth-Hitchcock Medical Center in Lebanon, New Hampshire, the hybrid OR is called the Center for Surgical Innovation (CSI). "Our CSI allows us to create and execute a surgical plan using the imaging modality best suited for the type of case," explains John Peiffer, managing director of the CSI, the Advanced Imaging Center, and the Office of Intellectual Property Management. "It's a surgeon's dream," adds Timothy Ryken, MD, a professor and chief in the section of neurosurgery. "Being able to complete a surgery is all about visualization. What you can see, you can fix. The intraoperative imaging capabilities of the CSI, with high-quality MRI and CT, are truly incredible and a clinical game changer." Hybrid ORs offer a more productive setting for doing minimally invasive surgeries, says Sudhir Kulkarni, segment director of hybrid OR for Siemens Healthineers North America. "Minimally invasive surgeries involve a win-win-win situation for patients, surgeons, and hospitals," he explains. "The smaller incisions allow surgeons to finish the procedure faster and patients to recover faster. A faster recovery time is less expensive for hospitals." 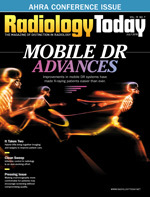 Acquiring CT images intraoperatively enhances the efficiency of needle localization and thoracoscopic resection of pulmonary nodules, says John M. Racadio, MD, director of IR innovation and research in the department of radiology and medical imaging at Cincinnati Children's Hospital Medical Center (CCHMC). Having access to a hybrid OR has proven especially beneficial when collaborating with surgeons to localize and wedge resect tiny 2-mm pulmonary nodules found on surveillance CT scans of patients with osteosarcoma or other primary malignancies that may metastasize to the lung, he notes. Before CCHMC had a hybrid OR, care for these patients involved a lot of back-and-forth between the radiology department—for CT scanning—and the OR. Staff members had to move the patients on and off the gurney each time, all while the patients were anesthetized and intubated. Now that the facility has a hybrid OR, the needle localization and thoracoscopy are both done in the same room under C-arm cone beam CT guidance. The ability to coregister a patient's intraoperative CT scans with imaging studies taken prior to surgery is an added benefit, further helping professionals to navigate a biopsy needle to a lesion, Racadio says. "The hybrid OR allows us to coregister and fuse a previously acquired MRI, contrast-enhanced conventional CT, or PET/CT with an intraoperative C-arm cone beam CT to better visualize lesions for biopsy. Integrated navigation software on the system subsequently helps guide the needle biopsy." Kevin Gessner, CCHMC's vice president of operations, surgical services, adds, "The single largest advantage of our hybrid OR suite is the potential it unlocks for better outcomes for our patients and families." Another benefit to having a hybrid OR is the fact that the success of a procedure can be assessed while the patient remains in a "sterile cocoon" on the OR table, Peiffer notes. "Should there be a need to continue the procedure, there is very little wasted time to continue the case and no movement of the patient throughout the hospital to go get an MRI or CT scan," he says. "Patients never move from the OR table for imaging, so the images taken are in the exact surgical attitude of the patient on the table." Because patients no longer have to be escorted out of the surgical environment for any reason, those on the nursing, anesthesiology, and surgical teams are less stressed, Peiffer adds. And surgeons like the fact that they get a visual confirmation of their procedure. "Future discussions with the patient can be more definitive and based on real-time information," Peiffer explains. "You do not have to wait days for a confirming scan." Such advantages are worth what can be years spent preparing for a hybrid OR, according to those who have done so. Good preparation is key to foreseeing and, therefore, bypassing challenges to the process. The initial challenge may be deciding on how a room will be used, a decision that has a huge impact on all other decisions, according to Kulkarni. "Room utilization is the first decision they will have to make, ie, which procedures will be done in the room? What kind of surgery? Is it going to be partial open, all image guided, partially image?" he says. Once decisions on room use are landed, the next challenge is to bring together the professionals associated with those uses, Kulkarni says. "Setting up the team of everyone who is involved is the biggest challenge," he says. "But everyone who uses the room needs to be involved." That group may involve cardiac, vascular, interventional, neuro, and trauma surgeons but should always include anesthesiologists, OR directors and supervisors, technologists, nurses, design staff, vendor representatives, staff members who will move patients in and out of the rooms, and cleaning staff, he suggests. With so many sides represented at that point, those involved should prepare for challenges that surface as a result, Kulkarni points out. "All of the decisions become tough because every single player has some unique needs," he says. Recognizing all of those needs is important to resolve challenges, such as room size, Kulkarni says, adding that many customers are dedicating at least 750 square feet for a hybrid room. "The room size should depend on what you want to do and how you want to do it," he explains. "For some facilities, that may mean combining two existing rooms. Even if they have to do that, it is still beneficial for them." "The biggest challenge was finding the space large enough within the existing physical plan and infrastructure of the hospital to house the main fluoroscopic equipment along with the necessary accessories," Lee says. "A hybrid OR is typically significantly larger than most conventional operating rooms. Along with space issues, special ventilation and cooling capabilities had to be installed and fiberoptic cables had to be laid out to handle the extra bandwidth required to transmit and store large amounts of clinical imaging data." "Identifying space conducive to the long-term success of the hybrid OR was one of the most challenging elements of our operational planning," Gessner says. "Identifying and renovating existing space in a very active perioperative setting was certainly a challenge. We developed a perioperative master plan that included a series of dominos and repurposing existing space that culminated in our existing hybrid OR." When allocating space, discussions on room configuration should review use, budget, and patient flow. A number of configurations are available through IMRIS, which calls the hybrid ORs it offers "surgical theatres." The company helped design Dartmouth-Hitchcock Medical Center's CSI, a four-room linear configuration. "Our configuration from left to right is: CT, OR2, MR, OR1," Peiffer explains. "The IMRIS system design allows for movement of the MR and CT between rooms so our two ORs are serviced by the MR, and CT can move into the adjacent OR from the CT procedure room." The MR room is a fully functional diagnostic MR suite and can be used as an overflow for clinical MRI as well as for preprocedure imaging for surgery navigation. OR2 and the CT procedure room are primarily used for spine; ear, nose, and throat; plastics; and vascular cases but are also designed for animal research. "These rooms were designed with separate HVAC systems for each type of surgery, along with separation of gases, equipment, instrumentation, and supplies so that we can keep the environments separate at all times," Peiffer says. "We designed special door interlocks so that the doors cannot be opened unless specific environmental conditions are met." CCHMC worked with Philips to build a hybrid suite that could be used by a variety of specialties. "The main advantage of the hybrid solution is that it enables the hospital to use the lab/room for both open and minimally invasive procedures and, as such, is economically advantageous, as it ensures that the room can be used 100%," explains Philips' Daniel Milliken, vice president of marketing and strategy, image guided therapy systems. Another challenge is figuring out what equipment should be bought for the room. "The criteria typically used for selecting the equipment is patient access: Can we access the patient from all sides? Patient coverage: How much of the patient can we cover? Can we cover head to toe and, if so, what height?" Kulkarni says. Purchasing decisions also should consider how easily equipment can be moved out of the way if space is needed around the patient and whether it should be mounted to the ceiling or floor. IMRIS surgical theatres are fitted with the "first and only" moving ceiling-mounted MRI and CT technology, according to CEO Andrew Flanagan. The design, he says, allows the technology to be brought to the patient, rather than vice versa. "This is not an advantage in every hybrid OR scenario," Flanagan says. "Other intraoperative imaging solutions are stationary, so the patient still does need to be moved during surgery." Siemens Healthineers has another equipment option: a floor-mounted robotic system. When selecting equipment, members of the team also should consider the need for specific tools and software based on the procedures to be performed. "They should write down the advantages and the disadvantages," Kulkarni notes. Staffing issues also can be challenging, Kulkarni adds, yet the same considerations apply. "How you want to staff a hybrid OR depends on how it is going to be used because you are going to need the techs that are familiar with all of the systems," he says. "We always recommend that you have dedicated techs to the room rather than having dedicated techs to the team." Staffing hours should also be discussed and a backup plan established to cover last-minute absences, Kulkarni suggests. "Will you want to have staff around the clock? That impacts cost, so that's another challenge," he points out. Staff must undergo special training to work in the hybrid OR, explains Racadio, who developed a training program with his coworker and friend, surgeon-in-chief Daniel von Allmen, MD. He and von Allmen, who was equally involved in the entire process, initiated their training program about a year before groundbreaking. "We started selling this concept of surgery/IR collaborations in the hybrid OR to the surgeons, the interventional radiologists, the nurses, the OR staff, and the IR technologists and began training them long before the hybrid OR opened," he says. The training program he and von Allmen developed involves a didactic lecture and a hands-on simulation in an on-campus research hybrid OR lab, which, although much smaller in size, mirrors the capabilities of the clinical hybrid OR. Although designing and implementing a hybrid OR is complex, support is available to facilities in all forms and from many resources, including vendors. IMRIS offers comprehensive consulting services that span from conception through ongoing use and continuing education, Flanagan says. Also, Philips worked with CCHMC to determine current and future needs during the process to install the company's FlexMove hybrid system. "Input from CCHMC allowed us to work up a solution that will meet the growing needs of CCHMC and Cincinnati," Milliken comments. "The CCHMC room has been built for the future, as well, in that it has also been set for some of our future applications." Obviously, facilities have different means with which to work, but good communication between all stakeholders is priceless, according to Racadio and Kulkarni. Both referenced the turf wars that were so common between interventional radiologists and surgeons in the early 2000s. "This [process] has helped build a consensus and comradery between these factions. They are all now playing in the same sandbox," Kulkarni says. "You can't [strictly look at this] in terms of cost." Racadio adds, "It boils down to interventional radiologists and surgeons thinking together to see how they can best treat patients. Without the trust and the common goal, I don't think you will ever get there."